Remember that brief moment in late 2018 when the U.S. became a net exporter of crude oil and petroleum products combined? It was just a preview of what's to come late next year, according to the Energy Information Administration's first detailed 2020 market forecast. What's next: "EIA forecasts that net imports will continue to fall to an average of 1.1 million [barrels per day] in 2019, and to less than 0.1 million b/d in 2020," per EIA's outlook published Tuesday. 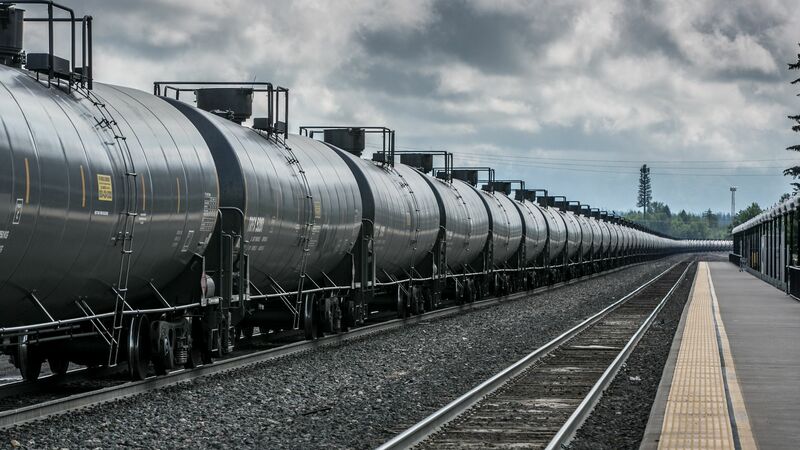 "In the fourth quarter of 2020, EIA forecasts the United States will be a net exporter of crude oil and petroleum products, by about 0.9 million b/d," they found. Why it matters: That factoid is a sign of the country's re-emergence as a global oil powerhouse and increasingly prominent exporter as domestic production has surged. Crude oil production is already at record levels of roughly 11.5 million barrels per day and climbing. EIA sees U.S. crude output averaging 12.1 million daily barrels this year and 12.9million in 2020, cracking the 13 million mark late in the year. What they're saying: "Steady growth from non-OPEC countries, including the United States, headlines the forecast for global crude oil production through 2020. We expect the United States to remain the world’s largest producer," EIA administrator Linda Capuano said in a statement alongside the the report. But, but, but: Here is where I'm contractually obligated to note that the U.S. will still remain very tethered to the whims of global markets, and net exports doesn't — and, logistically, shouldn't — mean the country won't still import lots of crude.